Having represented people with traumatic brain injury (TBI) for many years, I respect the importance of rehabilitation. With evolving news about military veterans and certain athletes, everyone is becoming more aware of these issues. It’s a long road for many people, and we still have a long road ahead before TBI is fully understood. With about 50,000 deaths and 280,000 hospitalizations a year as a result of TBI from accidents such as falls and car crashes, it is surprising that there are still so many gaps to fill when it comes to resources and treatment for brain injuries. Thankfully, new research is putting a spotlight on the importance of traumatic brain injury prevention and recovery. 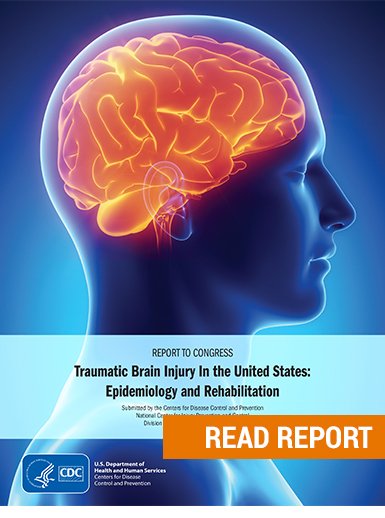 The Centers for Disease Control’s (CDC) recent report, Traumatic Brain Injury Epidemiology and Rehabilitation, addresses the prevalence of TBI, outcomes of TBI, and effectiveness of current methods for rehabilitation. How Can Traumatic Brain Injury Be Addressed More Effectively? The brain is extraordinarily complex. Sometimes a diagnosis of traumatic brain injury is delayed or even missed entirely. Once diagnosed, treatment can be challenging, and some never recover. That’s why research that fuels better rehabilitation methods is crucial to improve quality of life for traumatic brain injury patients. $5 million to study the prevalence of sports-related concussions in children apart from emergency room visits. Studying trends for populations most affected by brain injury, such as children, the elderly, and military personnel, to be able to provide better resources. Ongoing tracking of Electronic Health Records (EHRs) to measure efficacy of treatments. Creating systems that will help parents effectively navigate the rehabilitation process for their children. These are just a few of the many upcoming initiatives to help those with TBI have a better quality of life. In the meantime, prevention is the best bet for those in high-risk situations, such as youth sports and work sites, where falls are common. Our firm will continue to advocate for those with traumatic brain injury through cases, as well as programs like The Brain Bucket Brigade to promote helmet safety for kids. We are thankful the CDC is continuing on their path towards progress.